Begin this tour with a scenic 2 hour drive through rugged countryside past numerous villages along the Nam Xuang river. Well cross the Nam Xuang river by small boat and begin our trek from the rivers banks. 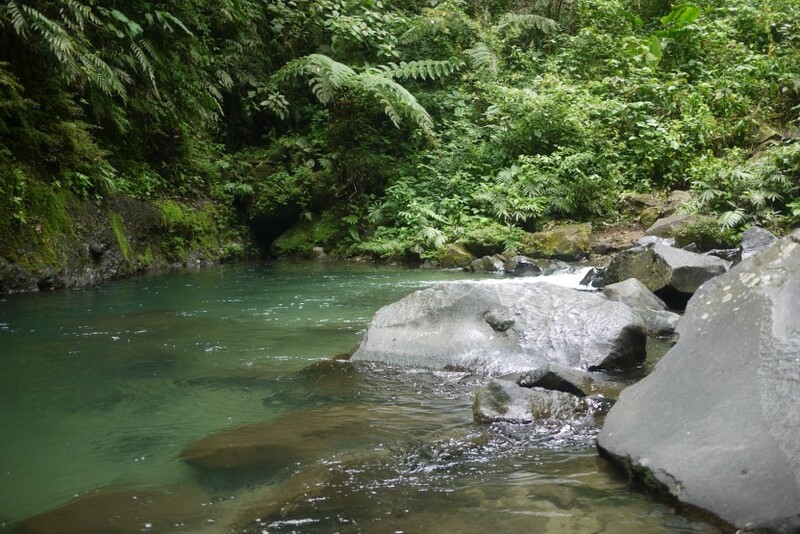 The trekking is 4-5 hours easy to intermediate through dense jungle and across numerous streams during the wet season. There are both Hmong and Khmu villages to visit and overnight at. Your guides will introduce you to the villages, prepare dinner, and guide you through an unforgettable experience with your host village. Unlike the Lao Loum people predominantly residing in the city who are Buddhist, the Hmong and Khmu ethnic groups are animist with widely differing beliefs that make Laos the ethnically rich country it is. Ask to join any activity you see. Use your time and guide well to explore these remarkable peoples lives. On our second morning well wake to enjoy breakfast prepared by your guide, say your farewells, and set off again trekking for about 5 hours to the second of two rivers youll see on this tour. Feel free to jump in for a swim to cool off before you depart by truck to conclude this incredible immersion tour. Well arrive back in Luang Prabang by about 4:30 p.m.